Who should take this fire suppression system training course ? Supervisors, watchers and inspectors of fire suppression systems . Preparing technical staff for installing, maintaining and operating of fire suppression systems according to international standards. Identify the types of fire and the characteristics of each type. Determine fire agents that suit each type of fires. Protect the important places in facilities using appropriate fire systems. Know the different fire systems and their components. Identify various fire agents and the characteristics of each agent. Know the advantages and disadvantages of fire agents. Identify the types of sprinklers networks. Determine the fire water sources of fire water systems, appropriate quantities and pressures. Identify automatic fire networks and methods of operating, installing and maintaining. Learn how the different fire systems operate automatically. Systems and international standards for installation, inspection, maintenance and testing of fire systems. Fire systems inspection methods, techniques and equipment. Inspect periodically the detection, alarm and control networks. Fire methods and characteristics of each fire agent. 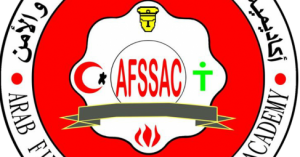 Advantages and disadvantages of fire agents. 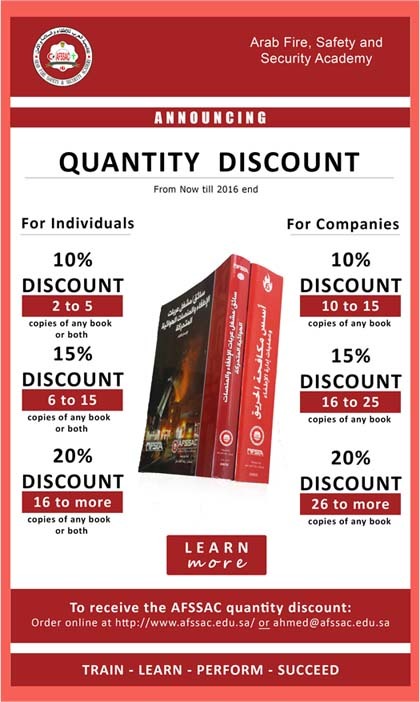 Codes and international standards of fire systems requirements. Operation methods of automatic fire networks. Fire systems Inspection and maintenance. Educational level: General secondary (scientific section), secondary industrial and its equivalent. * Duration of the program: four months – five days a week -480 training sessions (40% theoretical 60% practical).